1 B None No Power Seat 1 B is a Seat 1 B is a standard Business Class seat located at a bulkhead that transforms into a fully flat bed. The close proximity to the galley and lavatory area might be bothersome. 1 D None No Power Seat 1 D is a standard Business Class seat located at a bulkhead that transforms into a fully flat seat. There might be limited storage in the overhead bin since it is usually used for crew and safety equipment. 1 E None No Power Seat 1 E is a standard Business Class seat located at a bulkhead that transforms into a fully flat seat. There might be limited storage in the overhead bin since it is usually used for crew and safety equipment. 1 L None No Power Seat 1 L is a standard Business Class seat located at a bulkhead that transforms into a fully flat bed. 16 A None No Power Seat 16 A may have extra legroom due to the position of the Bulkhead. The tray table is in the armrest, making the armrest immovable and slightly reducing seat width. There is no floor storage for this seat during take-off and landing. 16 B None No Power Seat 16 B may have extra legroom due to the position of the Bulkhead. The tray table is in the armrest, making the armrest immovable and slightly reducing seat width. There is no floor storage for this seat during take-off and landing. 16 C None No Power Seat 16 C may have extra legroom due to the position of the Bulkhead. The tray table is in the armrest, making the armrest immovable and slightly reducing seat width. There is no floor storage for this seat during take-off and landing. 16 J None No Power Seat 16 J may have extra legroom due to the position of the Bulkhead. The tray table is in the armrest, making the armrest immovable and slightly reducing seat width. There is no floor storage for this seat during take-off and landing. 16 K None No Power Seat 16 K may have extra legroom due to the position of the Bulkhead. The tray table is in the armrest, making the armrest immovable and slightly reducing seat width. There is no floor storage for this seat during take-off and landing. 16 L None No Power Seat 16 L may have extra legroom due to the position of the Bulkhead. The tray table is in the armrest, making the armrest immovable and slightly reducing seat width. There is no floor storage for this seat during take-off and landing. 17 D None No Power Seat 17 D may have extra legroom due to the position of the Bulkhead. The tray table is in the armrest, making the armrest immovable and slightly reducing seat width. There is no floor storage for this seat during take-off and landing. 17 E None No Power Seat 17 E may have extra legroom due to the position of the Bulkhead. The tray table is in the armrest, making the armrest immovable and slightly reducing seat width. There is no floor storage for this seat during take-off and landing. 17 F None No Power Seat 17 F may have extra legroom due to the position of the Bulkhead. The tray table is in the armrest, making the armrest immovable and slightly reducing seat width. There is no floor storage for this seat during take-off and landing. 2 D None No Power Seat 2 D is a standard Business Class seat that transforms into a fully flat seat. There might be limited storage in the overhead bin since it is usually used for crew and safety equipment. 2 E None No Power Seat 2 E is a standard Business Class seat that transforms into a fully flat seat. There might be limited storage in the overhead bin since it is usually used for crew and safety equipment. 25 A None No Power Seat 25 A is in the last row of the section and may have limited recline. The close proximity to the lavatories and galley may be bothersome. 25 B None No Power Seat 25 B is in the last row of the section and may have limited recline. The close proximity to the lavatories and galley may be bothersome. 25 C None No Power Seat 25 C is in the last row of the section and may have limited recline. The close proximity to the lavatories and galley may be bothersome. 25 D None No Power Seat 25 D is an Economy Class seat, however the proximity to the galley and lavatory may be bothersome. 25 F None No Power Seat 25 F is an Economy Class seat, however the proximity to the galley and lavatory may be bothersome. 25 J None No Power Seat 25 J is in the last row of the section and may have limited recline. The close proximity to the lavatories and galley may be bothersome. 25 K None No Power Seat 25 K is in the last row of the section and may have limited recline. The close proximity to the lavatories and galley may be bothersome. 25 L None No Power Seat 25 L is in the last row of the section and may have limited recline. The close proximity to the lavatories and galley may be bothersome. 27 A None No Power Seat 27 A is an Economy Class Exit Row seat where there is only a small porthole window. This seat has restricted legroom due to the protrusion of the Exit door. The close proximity to the lavatories and galley may be bothersome as people tend to congregate in this area. The tray table is in the armrest, making the armrest immovable and slightly reducing seat width. There is no floor storage for this seat during take-off and landing. 27 B None No Power Seat 27 B is an Economy Plus Exit Row seat, however the close proximity to the lavatories and galley may be bothersome as people tend to congregate in this area. The tray table is in the armrest, making the armrest immovable and slightly reducing seat width. There is no floor storage for this seat during take-off and landing. 27 C None No Power Seat 27 C is an Economy Plus Exit Row seat, however the close proximity to the lavatories and galley may be bothersome as people tend to congregate in this area. The tray table is in the armrest, making the armrest immovable and slightly reducing seat width. There is no floor storage for this seat during take-off and landing. 27 D None No Power Seat 27 D is an Economy Plus Exit Row seat, however the close proximity to the lavatories and galley may be bothersome as people tend to congregate in this area. The tray table is in the armrest, making the armrest immovable and slightly reducing seat width. There is no floor storage for this seat during take-off and landing. 27 E None No Power Seat 27 E is an Economy Plus Exit Row seat, however the close proximity to the lavatories and galley may be bothersome as people tend to congregate in this area. The tray table is in the armrest, making the armrest immovable and slightly reducing seat width. There is no floor storage for this seat during take-off and landing. 27 F None No Power Seat 27 F is an Economy Plus Exit Row seat, however the close proximity to the lavatories and galley may be bothersome as people tend to congregate in this area. The tray table is in the armrest, making the armrest immovable and slightly reducing seat width. There is no floor storage for this seat during take-off and landing. 27 J None No Power Seat 27 J is an Economy Plus Exit Row seat, however the close proximity to the lavatories and galley may be bothersome as people tend to congregate in this area. The tray table is in the armrest, making the armrest immovable and slightly reducing seat width. There is no floor storage for this seat during take-off and landing. 27 K None No Power Seat 27 K is an Economy Plus Exit Row seat, however the close proximity to the lavatories and galley may be bothersome as people tend to congregate in this area. The tray table is in the armrest, making the armrest immovable and slightly reducing seat width. There is no floor storage for this seat during take-off and landing. 27 L None No Power Seat 27 L is an Economy Class Exit Row seat where there is only a small porthole window. This seat has restricted legroom due to the protrusion of the Exit door. The close proximity to the lavatories and galley may be bothersome as people tend to congregate in this area. The tray table is in the armrest, making the armrest immovable and slightly reducing seat width. There is no floor storage for this seat during take-off and landing. 3 A None No Power Seat 3 A is a standard Business Class seat that transforms into a fully flat bed. The close proximity to the galley and lavatory area might be bothersome. 3 B None No Power Seat 3 B is a standard Business Class seat that transforms into a fully flat bed. The close proximity to the galley and lavatory area might be bothersome. 3 K None No Power Seat 3 K is a standard Business Class seat that transforms into a fully flat bed. The close proximity to the galley and lavatory area might be bothersome. 3 L None No Power Seat 3 L is a standard Business Class seat that transforms into a fully flat bed. The close proximity to the galley and lavatory area might be bothersome. 34 A None No Power Seat 34 A is missing a window. 34 L None No Power Seat 34 L is missing a window. 36 A None No Power Seat 36 A is in the last row of the plane and may have limited recline. The close proximity to the lavatories may be bothersome. 36 B None No Power Seat 36 B is in the last row of the plane and may have limited recline. The close proximity to the lavatories may be bothersome. 36 C None No Power Seat 36 C is in the last row of the plane and may have limited recline. The close proximity to the lavatories may be bothersome. 36 J None No Power Seat 36 J is in the last row of the plane and may have limited recline. The close proximity to the lavatories may be bothersome. 36 K None No Power Seat 36 K is in the last row of the plane and may have limited recline. The close proximity to the lavatories may be bothersome. 36 L None No Power Seat 36 L is in the last row of the plane and may have limited recline. The close proximity to the lavatories may be bothersome. 37 F None No Power Seat 37 F is a standard Economy Class seat, however the close proximity to the lavatories may be bothersome. 38 D None No Power Seat 38 D is a standard Economy Class seat. This seat is in the last row. The proximity to the lavatory and galley may be bothersome. 38 E None No Power Seat 38 E is a standard Economy Class seat. This seat is in the last row. The proximity to the lavatory and galley may be bothersome. 38 F None No Power Seat 38 F is a standard Economy Class seat. This seat is in the last row. The proximity to the lavatory and galley may be bothersome. 4 A None No Power Seat 4 A is a standard Business Class seat located at a bulkhead that transforms into a fully flat bed. The close proximity to the galley and lavatory area might be bothersome. 4 B None No Power Seat 4 B is a standard Business Class seat located at a bulkhead that transforms into a fully flat bed. The close proximity to the galley and lavatory area might be bothersome. 4 D None No Power Seat 4 D is a standard Business Class seat located at a bulkhead that transforms into a fully flat bed. The close proximity to the galley and lavatory area might be bothersome. 4 E None No Power Seat 4 E is a standard Business Class seat located at a bulkhead that transforms into a fully flat bed. The close proximity to the galley and lavatory area might be bothersome. 4 K None No Power Seat 4 K is a standard Business Class seat located at a bulkhead that transforms into a fully flat bed. The close proximity to the galley and lavatory area might be bothersome. 4 L None No Power Seat 4 L is a standard Business Class seat located at a bulkhead that transforms into a fully flat bed. The close proximity to the galley and lavatory area might be bothersome. I concur with many of the comments about the dreamliner. However, anyone complaining about the window letting in the light or noise from the galley or flight attendants talking, can simple put on the eye shades and ear plugs provided to them in the toiletry bags provide by the airline. 6D. Last row of biz class in 2-2-2 config. Not ver private. The middle seats are farther back than the side seats and your head is pretty much in economy. Means your seat gets conversations and service carts and overhead lights from econ. Not recommended. I've flown on most seats in business class on this aircraft at one time or another. I prefer row 5 or 6 because it's away from the galley and lavatory. Others have noted that the windows have tinting but no shades and in direct sunlight this can be a problem. This is correct. A suggestion which can really help if you're flying during the day: book a seat on the side of the aircraft away from the sun. For example, if you're flying east to west (in the northern hemisphere which has to be just about all UA flights), take a seat on the starboard side of the aircraft. It helps a lot. In addition to the proximity to galley and lavatories, the bright lighting in the galley adds extra disturbance to travelers without eye mask. No storage pocket in front. There is a chance to be hit by the cart if the flight attendant wasn't careful. DEN - LHR, United lifetime million miler. The first and fourth rows in business have the best footrests and a wide space for you feet, especially if you have a large foot (size 12). The business seats in the other rows have pretty awful foot wells. Row four should not have a warning. They are the best seats in the house (I sat in 4E on my way over to London from Denver). Warning on the overheads above rows 1 and 2. There are no center bins as United appear to have equipment above those seats. If the other passengers carry-on a lot of stuff, you'll be left without a place for your roller bag. Board early if you have the center seats in rows in 1 or 2. On the meal service, United Polaris is poppycock. They serve you a tray in business class. What? The food was marginal from LHR to DEN. Between the tray and quality of food, it was like eating in a dorm cafeteria. While the seat is lay flat. The location for your feet is limited to 14" - 18", if you don't sleep on your back is very hard to find a comfortable position. This is actually a nice seat. The seat has full recline. The lavatory is about 9 feet away and not a bother at all. The only slight nock is the fuselage curvature starts in this row so you have slightly less room between the seat and bulkhead. Overall good seat. There is a small jog in the aisle alignment from economy plus, so the carts bump into this seat quite often. There is also a bump in the floor at the same spot which means extra noise as the flight attendants try to move the heavy carts over it. I enjoyed 6D on my flight from Dulles to Paris in March. The seat was comfortable and by the aisle. The extension of the seat into the bed setting was an added benefit. I arrived early the next morning, rested and ready for the day's activities. The 787 is a great plane in general. Noise level is down from 777 and 767. Seats are similar with limited storage. Footwell storage is not even enough for shoebox. Window seating gives a little more room for in seat storage such as magazines and or ipad, between seat and fuselage. Window blinds are fair as they do not completely darken the cabin. Got to compare upon return as I flew on a 777, cabin was pitch dark unlike 787. Remember to ask for foam padding for nights rest. I does make a difference. Travelled BC. Don't like facing someone I don't know before take-off when screen has to be down. Seat comfortable, and easy to adjust. Light behind head is OK, but could be better. Food excellent. Service also very good. Stewardesses seriously overweight - is this a safety issue? Plane quiet and smooth. Travelled all day in a darkened cabin from London to Rio. Could do nothing about it. Strange, all windows with blinds down, and cabin lights off. Surely that's for night travel? I have taken UAL 954-955 back and forth between SFO and TLV many times. I agree with others that the 3-3-3 configuration is too tight. I always choose a D, and fortunately with status I usually get an empty middle seat next so no one climbing over. My biggest complaint is the crappy service. Within a couple of hours the lavs on these flights look like there was a food fight, and the flight attendants seem to check them rarely. Once three trays of food dumped off the cart into the aisle right next to me. They just drove the cart right through the mess. Later a flight attendant came and scraped up just the biggest chunks. The rest of it just stayed there for 14 hours. The staff have plenty of time on this long flight, they could clean the place up a bit. This might be the worst business class seat I've had on any airline. It is inches from the Galley and the noise from talking and clanging is almost non-stop. Plus the aisles on this plane are incredibly narrow, so the armrest, and often my arm, were forever getting bumped into by carts, passengers and crew. Avoid this seat, in fact, avoid this aircraft, at least the way configured by United. There are two problems with this aircraft: 1. the reading lights are misaligned and beam on the head of the passenger rather than on the tablet. As a result, the head of the passenger creates a shadow on what he/she writes, read, or type on the keyboard of a computer. This makes any serious work very difficult. 2. During the flight, the crew darkens all windows (you cannot get yours clear again). 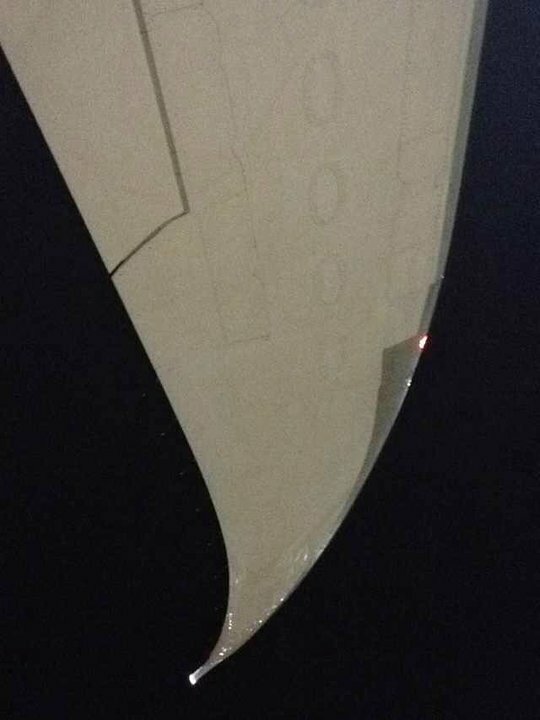 So, you are deprived of natural light for most of the trip, which aggravates the problem of the misaligned reading lights (since this become your only source of light) and creates a very uneasy atmosphere (you are forced to sleep even though the flight is in daylight for mots of the time). I was on the flight from SFO to XIY. This flights departs on 1-ish PM. As part of the Polaris Business Class, the windows are "tinted" rather than open/close. The tinted feature was pretty cool as it allowed you to look outside without the sun shining on you; however, the tint does not become fully dark. My main complaint is that I was unable to sleep comfortably. Because of the departure time (daytime instead of evening), it was sunny the whole flight. I love the seats 27D,E &F - we are tall people :-) and these seat have the best leg room! TLV to SFO yesterday. Worst business class seat that I've been in that I can remember. Location is terrible. The seat juts out into the aisle and almost everyone that walks by in the aisle hits the seat armrest. The proximity to the galley is ridiculous. The seat is almost IN the galley. 787 is a much better plane for the airlines than for the pax. Give me a 747 0r 777 ay day. The lack of windowshades...those stupid dimming windows are massive waste of money. United's business class pales against any Asian or Middle Eastern carrier. From the seat to food. It IS better than the back of the plane, Each year they give you less for more $$! The proximity to bathroom was not the most bothersome part of this seat. The seat did not appear to recline very far making it a bit uncomfortable for a flight from KIX (Osaka) to SFO (San Francisco). 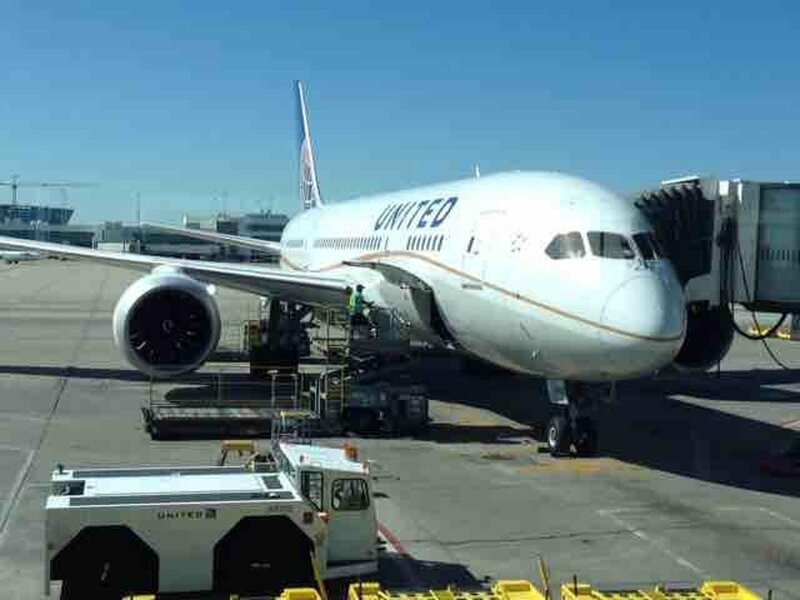 I flew on United's 787-8 Dreamliner from San Francisco to Munich and back. As an overall impression of the Dreamliner, it is a very comfortable aircraft, even in Economy. The plane is quiet, and the cabin air is very fresh. On the way to Munich, I sat in seat 16A (Bulkhead). There was plenty of legroom; enough to cross over 16B and 16C passengers without making them get up. However, the seat felt a little narrow, likely due to the try table being in the armrest. On the way back to San Francisco, I sat in 17A. Surprisingly, I enjoyed that seat better, likely due to added seat width. There was still plenty of legroom, despite having my bag under the seat in front of me. The window was a little too far forward, but I didn't find it to be an issue. On both flights, I enjoyed having power outlets, and personal TV's (unlike United's 747-400). However, I did notice a design flaw with the Dreamliner windows. If the sun is shining in to the window, it does become hard to sleep, since it is still a little bit bright. On the return leg, it wasn't an issue, since I wasn't planning to sleep anyways. Overall, great aircraft; extremely comfortable for flying long-haul with! Part of the overhead bin was taken up with safety or other crew gear. Passengers responded by stuffing it beyond full. My stuff was buried and was unavailable the entire flight. Nominal 32" seat pitch was just adequate for two long-legged guys, even when the 5-year old in front of us reclined her seat for almost the entire flight. nominal 18" width isn't great for a normal adult male, but that's old news. I took this flight in mid April in seat 1A. The skies were clear and the sun blasted through the window on my side for almost the entire flight. Very hot and uncomfortable as the 787 window tint does not block the sun and does not have a pull down shade. When I arrived in NRT, my wife actually commented on the slight red sunburn on the left side of my face. I tried pillows/blanket to block it as best I could, but next time I'm going for a seat away from the window!! Almost no recline, seemingly more narrow than usual. Considering this is a new plane the monitor was too small. One of my worst flights in a long time. The seat was so narrow that I couldn't even type on my laptop! The air pressure was also horrible. I don't remember having such bad ear pain since the MD-10 and 747-400. A short flight from Denver to Houston on United's 788 was nice! I can't judge how the seats would be for an intl flight, but for a domestic flight the was very nice; the sky lighting and large windows are a nice tough. As a bonus, the friendly crew allowed me to see the flight deck and pilot rest area (above the forward-most galley between the two aisles) once we got to the gate in Houston! Plenty of unobstructed leg room with plenty of room to bulkhead. Pop out displays from the arm rest are smaller than newer 787 aircraft. Nice dimming glass. I would say these are the best seats outside business class. Fantastic experience going from IAD to IAH. Seat is easy to get to when boarding & close to lavatories. Extremely comfortable. Aisle access. Window seats in Polaris still require hopping over someone if their legs are extended so I highly recommend aisle. Service was excellent. Extremely quiet plane. Can't wait to fly this one again. I would have happily stayed in this seat 3 more hours. This seat will give you the feeling to share the flight with the United attendants. No part of their interesting conversation will escape your attention. It has been impossible for me to sleep on a night flight : the crew had forgotten they had passengers trying to rest on board. Leg room is good. Seats are disaster. Maybe for 3-4hour flight it's fine but for 14-15 hours is too much. Window dimming is worthless on sunny side. Aircraft is very quiet. Excellent comfort. Too close from bathrooms. Very nice plane. Flew KIX to SFO, Seat 5K. The 787 is a comfortable plane and the lie-flat seat was comfortable. 4K did not have too much galley noise or light because the cabin crew pulled the curtain as requested. Both the 787-8 and 787-900 are comfortable aircraft in United Business-First, 2 cabin layout. SFO to AKL had 6d. Service was great and I really love the low pressurization of the 787. Footwell in 6d and 6e are cramped. On the return to SFO, had 4d. Much wider foot wells and slept comfortably. Looking forward to flying on the 787 in the near future. Very loud airflow noise overhead when on the ground. Agents said it is air intake for the plane when at gate. Flew Business Class on UA35 to KIX. Seat 6D was very comfortable, plenty of overhead space and great Video options. I also had (4) colleagues in Business and the one in 3D said the restroom door became bothersome everytime someone went in it. Overall I enjoyed the 787 service and the comfort of this seat. This is an aircraft (some would say airline) for upgraders. Having once actually paid for a BF fare on this plane my money is where my mouth is - will never do it again. As a 1K the BF seats are perfectly fine if you get a GPU to clear on a long haul flight. Can't complain. However, to pay an extra 5, 6, or even 7 thousand USD over an economy seat to sit up here? Not the way United has their hard product laid out on this bird. It's not even the worst in their fleet - that would go to the 2-4-2 BF seats on the post-Continental 777s - but for a newer aircraft like the 787 to cram seats in like this in both BF and economy is ridiculous. You can fly Singapore Airlines on their 380 for the same price or sometimes even less and have an experience as different from United's BF as BF is from back row economy on this plane. I tired to sleep leaning my head towards the lage windows only to dicover it was freezing cold!! Secondly my monitor was not working and i told the ( very unfriendly ) airhostes about the probelm and all she said was sorry and then she left, the leg room was ok but the seat did not recline much acctually these seat is exactly the same as in normal economy but with few more inches of legroom. I love flying the 787 on long haul trips. I fly to London several times a year and I try to connect through Houston so I can fly on the 787. I've read several comments about the narrow seats but I'm ~ 6ft and weigh ~225lbs. and have never found the seats particularly narrow or uncomfortable. Perhaps the increased cabin pressure makes for such a significant improvement in the flying experience (sleeping and minimizing jet-lag) makes the other issues negligible. For now, I always try to fly on the 787 for long hauls. 5D has one of the narrow footwells which makes it a bit problematic for sleeping with the bed flat. In contrast, 4D is nice and wide. This is probably the best seat out of first/business class. More then enough leg room for me (6ft) and you can get up and about without disturbing neighbours. You are also close to the exit so you can get off quick and get to immigration first before the queues! As someone, a woman, who is 6 feet tall, a seat at least in basic economy, or plus NEVER ever fits me, but this economy plus seat from houston to san francisco, SFO, had PLENTY OF LEGROOM which was awesome, and nicely shocking. I appreciated the blue tinted windows in my row :). I still brought my eye cover thingy as I like to sleep on planes, and was able to. Ill ask to fly this plane next time, for sure! Got the select snack box and chardonnay, both were yummy. The most horrible aircraft that I have ever flown on, seating was not unlike sitting on a hard wooden bench with 20cm of leg room for 9 hours of torment and torture inside a birdcage.. The window dimming is inadequate. Any seat on the sun facing side of the plane is miserable. The sun is too bright even with maximum tinting. 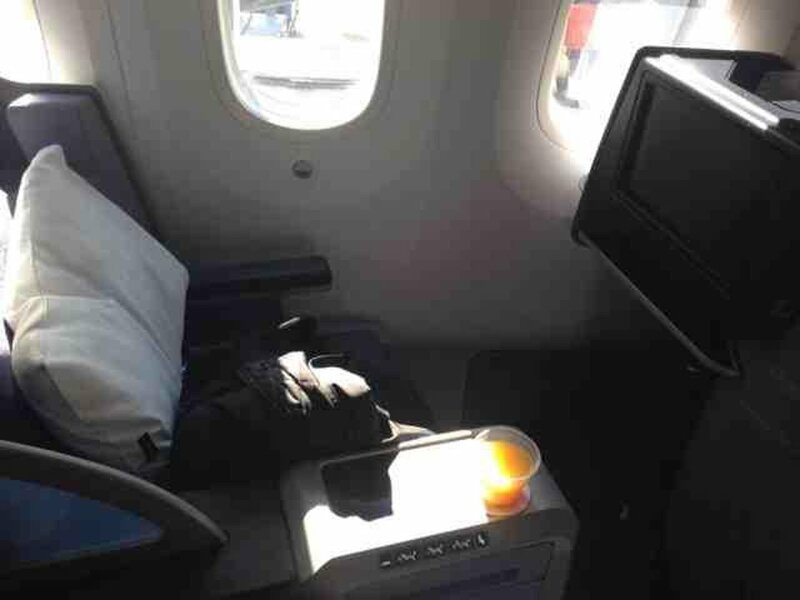 Miserable, Narrow Seats - Avoid the United 787 --- not for long haul flights! The Economy Seats on the 787 are extremely tight. The measurements/numbers don't capture just how miserably uncomfortable the economy cabin is. I'm a slender guy and I sat at the window. In the middle seat was a somewhat overweight (but not obese) guy. Although he folded his arms and was doing his best, we were wedged together and I felt his elbows, shoulders, and body heat all the way from SFO to IAH. My shoulders, elbows, neck, and rear end ached after a 4 hour flight. The fuselage of the 787 is considerably narrower than the 777, Yet United crammed the same number of seats into the plane. What suffers? your comfort. Shame on United for this callous and cynical way to treat its passengers. The big windows and big luggage bins cannot make up for the super tight seats. As noted before the seat is near the galley and lavatory but neither was an issue for us. Tray table is between the seats on the side of the center console. Outlets for power/sound/USB are back behind your left shoulder where there is a set of headphones. The a/v screen can be controlled via touchscreen or the remote tucked into the side of the center console. The 2-2-2 configuration does have the issue of the middle 2 row 1 do not have overhead storage. I have several pics but don't see how to share here. United ensures that all of premium economy is filled by upgrading economy passengers to premium economy. So, if you want two seats together instead of 3-4-3 configuration like the United 787, don't book United's 787. I flew from Frankfurt with my wife and had a stranger crawling all over us for 11 hours going to the bathroom, fighting for the armrests, etc. You're far better off going premium economy on a Lufthansa A380 or a United 767 which are configured as 2-4-2. United's 3-3-3 configuration for premium economy is MISERABLE for a long flight. One advantage to this seat is that since there is a bulkhead behind it, you have extra storage under you own seat in addition to the under-seat storage in the seat in front of you. You can also recline without annoying the person behind you. Great spacious seats. Definetely thought that row 16 was very comfortable because of the bulkhead,but I believe that every economy seat in any row is comfortable. There is plenty of space for legroom and your lugage. This seat did have full recline. It also has 2 full windows. Reclining to the back window gives the best ground view. Some ground views are obstructed by the wing out of the front window. The flushing sound from the restroom is noticeable at this seat. Terrible seat. It is an exit row and there is always the bump that sticks out from the emergency exit in front of you, but it is typically far enough away so that you have leg space and can even rest your legs on it. For this seat, the entire wall of the aircraft bends into the cabin about 5" at about 6-8" in front of the seat decreasing the width of the leg space to an intolerable level. Do not sit here if at all possible. The 9 seat configuration on UA138 is just too tight. When drinks or meal are served, the cart always bumps into the seats on both sides of the aisle. I was on NH836 using also 787 prior to UA138, but the 8 seat configuration on the NH836 flight provided more space on the aisles and wider seats than UA138. For Business First seating in the center section, rows 1 and 2, seats D and E, be aware there is no overhead bin available. The closest will be over the A and B seats, or K and L seats. But the passengers in those seats will likely want to use the bins. This lack of overhead space was a surprise and major inconvenience. United does not advise you of this when you book the ticket. For $9,000 I expect a place for my bag. BusinessFirst seated on 4K from NRT-LAX. 4K is next to the galley and the light they use is on the entire flight. So if you cant sleep with a light on, stay away from this seat or any near the galley. Noise from the FA is also bothersome as they congregate by the galley most of the time. 4K has a larger foot rest than others. Service with UA's FA are same as US domestic flights, BORING. Compare to other Asian carrier (EVA & ANA) where you can see how pleased they are to have you on board regardless of your ticket class. Food was good and the AVOD is great with tons of movies & music. Seats was nice, I'm only 5'5" so the lie-flat bed is very comfortable for me. Will fly on United's 787-8 again, but only on BusinessFirst as their 3-3-3 Ecomony configuration is too cramp for long international flights. Noisy seat from galley. All seats in the 787 are bad. Cramped and noisy airplane from a passenger standpoint. I picked this lonely seat well in advance and didn't regret it. Although it seems not to recline fully, legroom is ample and the seat next to it was as I had expected empty. Loved the large light-modulated window. This was easily the least unpleasant transatlantic flight I have ever taken in an economy seat. Great leg room but now wide enough. Tough to get comfortable on flight from SF to Osaka and visa versa! I flew LHR-IAH and I really liked it. I sat somewhere around row 28. Plenty of legroom. I was so pleased to find a flawless USB charger port waiting for me. Food was normal plane food. Flight attendants were decent, just one thing i didn't like was that while we were eating our usual cold food, they were having pizza. Loved flying on the 787. So this was my first flight on the Dreamliner. There are certainly pro's and cons. The economy seats are narrower than those on the 777. I still had room and didn't really feel any discomfort on the flight. I wish the seats reclined a little further but they were decent enough. I thought the legroom was decent. It could have been worse. But for a guy that's 5' 9", I didn't feel cramped at all. BUT, you will get nailed by the crew when they pass with the carts (if you're on the aisle seat). It's inevitable. The aisles are narrow. I had a long conversation with a crew member and that was the primary concern from the crew was how narrow the aisles were. The windows were interesting. They didn't get as dark as I would like. The crew managed the tint though because for awhile all windows were dark even though I knew that it was daylight outside. That made the adjustment in time much easier to handle than when on the 777. So I wasn't noticeably as tired. I prefer flying on the 777. The Dreamliner may be a nice plane but I think it is best served for flights 6 hours or less. Anything more and your patience may run thin. UA service and food quality are budget Airline standard which is a well known fact so no need complaining, best advice when travelling economy is eat before you board, bring your own drinks and then all you have to do is watch the good selection of movies and get some sleep if you can. The Aircraft is quite good, cavernous holds for carryon bags and I do believe the low pressure system really works as the noise is reduced, I sleep easier and dont end up with a stuffy nose/ear. As recommended Row 20 does have 2 windows and this is my preferred seat as well as it creates a perception of more space. I wouldnt recommend the bulkhead seat as people waiting in line to use the toilets will queue right in front of you and those fixed armrests do reduce the width of an already narrow seat. In business class the 787 is a wonderful airplane. However, if you have to fly the 787 in economy stick with JAL or ANA that have the 8 abreast configuration. In the 9-abreast config the 787 is a miserable experience, regardless of the other nice features. The aisles are narrow and you will be stepping on feet and bumping seats. And when you sit down you will be rubbing shoulders and elbows with your neighbor. Stick with a 777 in 9 abreast if you can, avoid the 787, especially on United. I took this flight from LAX to Narita and for an economy seat it wasn't nearly as bad as I expected. Granted, the seat next to me was empty, but I don't see a lot of difference between Economy and Premium Economy on UAL. FAs were grumps. The exit row does give you some extra leg room. However, here is the downsize, the UA 9 seat configuration is very tight width-wise, it's very squeezing and cancels out the nice aircraft features. The proximity to toilet will give you a large suction noise when someone flushes a toilet, keep in mind that the toilet flushes delayed upon seat close, that's usually when the user opens the toilets door. Imaging your flush a toilet in the open cabin, that's the effect of the auto-flush design. The engine noise is also quite high. Overall, I think this plane design is over-hyped or UA killed the nice technology with their Cramping skills. I flew twice in this plane and I dont like the 3 3 3 seat configuration, in LAN was very uncomfortable and very small the room to sleep and very tight to eat, I prefer Boeing 777 seat configuration, besides are more comfortable. Seat 1A is in the forward cabin in Business First, and is among the most quiet and secluded seats. There is little bustle from the FAs and of course, the first choice of meals is available. 1A and 1B are excellent for flying together, and this aircraft is terrific for comfort, quiet and pressure. Not only is the galley noise from the crew really annoying from this seat (they gather on the port side to talk), there is no curtain on this side of the aisle so the bright light over the cockpit door beams directly into this seat. All other seats seem OK. BTW, there IS a curtain on the starboard side aisle, but the toilet is right there, which is worse than the galley. In business class this a a terrific airplane. 2D is in the forward section, and is very quiet. I've flown the 787 about 6 times transpac, and I think the marketing hype is true, you really do feel better when you get off the plane. However, that being said, I would NEVER fly this aircraft in coach with 9-abreast seating. Shame on United for turning this excellent plane into a sardine can. I did fly an ANA 787 with 8 abreast and it was as comfortable as it's possible to be in coach. Because of the exit seat build there is very little room underneath to put your feet let alone a purse or computer bag. This plane is not wide enough to have 9 across seating in economy. It seemed as if every time a passenger or flight attendant walked down the aisle they bumped into me. The economy plus section felt very cramped and it almost felt like flying on a 737. I'll avoid this plane at all cost in the future. This is a magnificent plane, my first time on a dreamliner. And this seat is definitely the best in economy. Lots of leg room, easy access to to get out past your neighbors, great views out the big windows. I slept pretty sound, undisturbed. Downside is how many extra $$$ you have to pay for it, and the seat is narrow. I avoided United's plane food. The UA Dreamliners have a storage unit built in to the bulkhead that forms part of seat 4D. This is used for storage for items used in the meal service. If you're in this seat, there is a possibility the frequent opening and banging closed of the storage unit will disturb you. I am not sure why these seats are called Economy Plus! First they seam little to no different than the rest of economy. Yes a couple inches of ex. leg room. Big Deal when compared to feeling like you need traction when you get off the plane. This 787 Dream Liner is more like a Nightmare Liner. This is without a doubt the most uncomfortable plane I have ever flown. I will make sure going forward for any INTNL. flights I avoid this plane, and if necessary I will avoid United. United as obviously choose the almighty buck or customer comfort, at least without having to pay with your first born child. I like the "Green Company" statement, how they have reduced emission and fuel cost per passenger per flight; well no kidding! Simple statistics shoots this full of holes, if you add more seats to the plane (making passengers far less comfortable), then of course the per capita cost is less, as it is naturally reduced through a greater denominator. Long story short this is an uncomfortable plane, especially if you have wider than 6 inch shoulders or are not a 6 yr old little girl. Avoid the plane, if must fly because of availability, don't waste the money on Economy Plus; there is no plus. Regards. 17L has less armroom than most window seats because of the shape of the plane: the exterior of the plane buts against the armrest and then slopes up and in from there. Very uncomfortable for passengers with broad shoulders. Was in 16J for DEN-NRT a week ago; plenty of leg room, but comes with a big downside. I don't know why all the FA traffic from business back to economy, but it was a lot, and almost every time the FAs bumped into my legs or repositioned the curtain keeping us out of business so that it hit my legs. Not a huge deal, but annoying and frequent enough to prevent any sleep. I'd recommend pretty much any other seat in coach. United BusinessFirst Seats are a bit cramped, especially for tall pax, but the main problem (at least on my Houston to Heathrow) was the flight attendants who kept making noise throughout the night, banging around, joking, gossiping, prancing up and down the aisles, and generally disturbing pax who were trying to sleep in advance of arrival. Disappointingly, (for taller travelers) United chose the angled 2-2-2 configuration, meaning the foot well is only useful in rows 1 and 4 (for anyone with bigger than size 10 feet and over 6 ft tall). Seat 'E' is slightly better as the staff tend to congregate on the port side of the plane after meal services and while you are sleeping. On every flight I have ver taken, I have had to politely ask the purser to keep the noise down so I can sleep (I now just make the request when I board...). The higher humidification in the cabin has a HUGE impact on sleep. Was able to get almost 9 straight hours down with no water break on a flight from China. Also, the capt locks the window controls during sleeping hours so window occupants can't let the sun in your face - a HUGE plus. This sea does have extra legroom however the flight attendants will be bumping into you to open the curtain that is separating business first. Flight attendants open the curtain from right to left or grab the curtain and dropping it down hitting your foot. It is very difficult to rest or sleep in this seat due to the noticeable constant movement of the flight crew. I have been flying the 787 back and forth between DEN & NRT. The 787 is the best Business Class product by United, better than Biz on the 3-class planes. The 787 is clean, bright, excellent service (United staffs their most senior crews on the 787), and decent food. 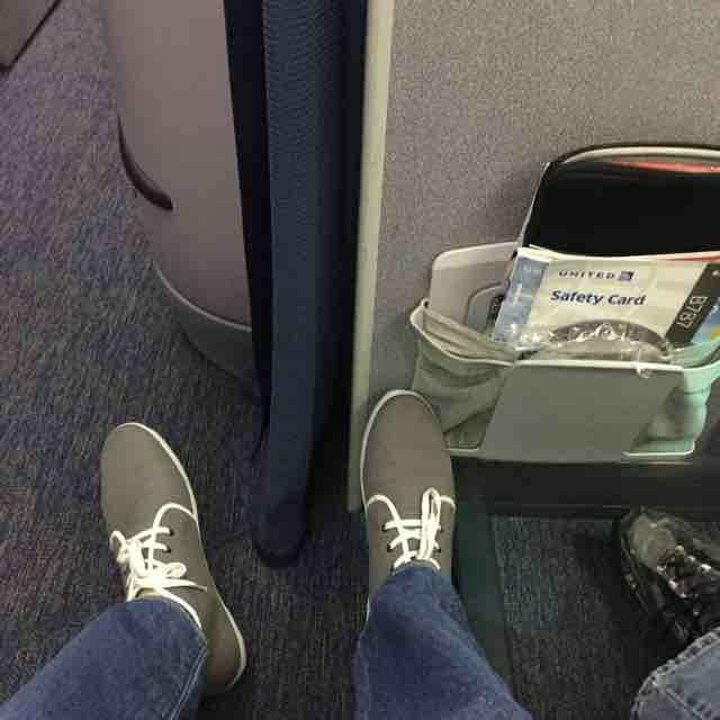 Rows 1 & 4 (bulkhead) has extra legroom with an extra cut out for your feet. I prefer the 787 over United's 777 and 747. Basically, it was my second experience on a 787. The first time was on an ANA flight, business class, excellent. This time was on a United flight, from LAX to NRT. First thing that i noticed was how narrow the seats were comparing to most other planes. Also the cabin felt really tiny and cramped, although it is a wide-body aircraft. The bathroom had great lightning, BUT there is no way you can do the "courtesy flush". The toilet won't flush until the lid is fully closed, which i found may be inconvenient. 787 is a great new plane but United Business/First configuration certainly doesn't provide a good experience. I was not impress with the 2-2-2 seating arrangement. The person at the window seat is stuck in for the entire trip especially for the oversea flights. If you need to get out in the middle of the night, you will have to do it somehow without waking the aisle person. UAL should set a 1-2-1 seating configuration like other airlines for their Business/First class. Foot space when in lie flat position is less than that of 2K due to curvature of the plane. Just flew the NRT-DEN (UAL 138) route in 16A. I agree that row 16 is the row to be in on this aircraft. Excellent legroom and not close to either a galley or rest room. I'm very impressed with the 787-8 overall. It's very quiet and for those of us who like window seats there are no better windows than on a 787. I was in 27B, the exit row. I thought it was a comfortable seat, especially when I was in the air for slightly over 11 hours to Osaka from SFO. The downside to the seat is you do not have a direct window, but you can look out the one behind you or once you are in the air look out the one in the exit door. You are also near the restrooms, but the space for the exit area is large so you don't get jostled. Also - if you are at an airport that is not used to the 787, they may have some problems. SFO's crew got stuck in the alternating rows of business class. Upside? There are several. Holy legroom, Batman! You also get personal in-flight entertainment monitors and a very smooth flight. The 787 wants to take off, and you almost feel like the pilot has to keep her on the runway while taxiing. Despite being at 40,000 feet and -51 degrees, you never feel the cold around the exit door like on some older aircraft. Boeing has made a pretty plane that is quite comfortable. I thought the darkened windows were plenty dark and still let us see out. Overall, I give the 787 a thumbs up. I flew in economy plus. First the bad: seats are narrower than on other planes. This is a SERIOUS inconvenience when two large adults are in adjacent seats. The positive: very good AVOD. Better AC, pressure environment. 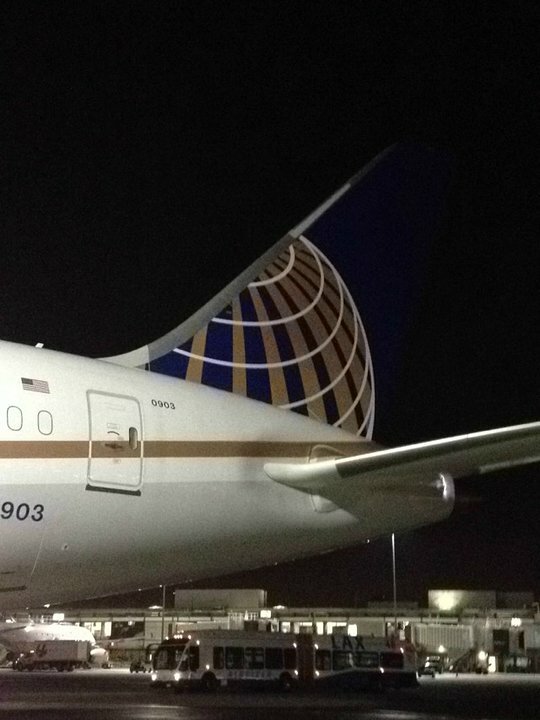 Planes are new and not run-down like other United planes. New window types and (lower? )sound levels are not significant advantages. Terrible. As has been described elsewhere, the electric dimming windows on the 787 do not dim enough to allow passengers to sleep comfortably. Those windows darken but on some flights, the sun glares through. Row 5 windows look directly at the engine nacelle. View is extremely limited. Row 4 has the best views. The seat was very comfortable, and as a bulkhead seat, had a little extra storage space with the built-in basinet. I had this window seat during a 10 hour flight to Tokyo. The windows do not get dark enough to block out the sun... I cannot sleep with an eye mask and the sun was shining directly in my eyes when I was lying fully flat. The window seat also gets quite warm because of the sun. I was very disappointed in my flight experience in the new 787. I would recommend the center aisles seats. Very comfy seat. Good recline and leg space. Definetely different flight experience compare to other planes - feel much better after 10 hour flight. I found the Economy Plus seats to be generally uncomfortable on this plane. While there was plenty of legroom, the seats completely lack lumbar support. That said, seat 20A is a better-than-average window seat in E+, as it has two windows. Even better, the dimmer controls for these two windows are linked (i.e. press the button beneath one window, and both windows will dim/brighten the same amount). There are less seats in business first so it is a little harder for upgrades. I ended up in economy plus even with a more expensive "instant upgrade" fare. That said, if you are going to sit in economy this isn't a bad plane to do it in. You have the same entertainment available as business class, just a smaller screen. The seat slides forward when you lean back and the bottom cushion tilts up - this means you don't tend to slide forward when you want to sleep and you don't take up very much of the space behind you. Footwell space varies quite a bit as for an extension of a reclined seat in lie flat position. Bulkhead seats have significantly more rectangular space as they are up against a flat bulkhead. Other seats offer a tighter and more triangular space being squeezed between curved forward pods or pod/wall-aisle. * All Biz/First seats have some underseat storage for take-off/landing under said footwell, space varies and is again greatest at bulkhead rows. Actually there is a deck/'bassinet' there equal to the depth of the footwell, so not a true bulkhead by any means. Bottom line, row 1 and 4 trump the rest, with row 1 best since it is forward of the loading door which was the only negative to 4B on ship 3905. Flew in 3D on 3902 on an overnight and the cramped footwell was a minor factor. This was my first time on the 787. It was really great! We only had about 2 hrs because we went from Denver to Houston but even then I had time to watch a movie, the screen was a little far away so you just have to lean closer, but no big deal. The dynamic lighting is probably the coolest thing about the plane. United flies 1 versions of Boeing 787-8.